After 15 years in business, Red Sage will close its doors Dec. 22, reports Tom Sietsema of The Washington Post. Partner Dan Mesches cites escalating rent as the reason for the closure, which begs the question, who could afford to move in? Red Sage, which launched the career of chef Morou Ouattara, will leave a huge space behind at 605 14th St. NW. Keep your eyes on that corner. Reopening around the same time (Dec. 15 is the target) is the Occidental (pictured below), which closed in July for renovations. 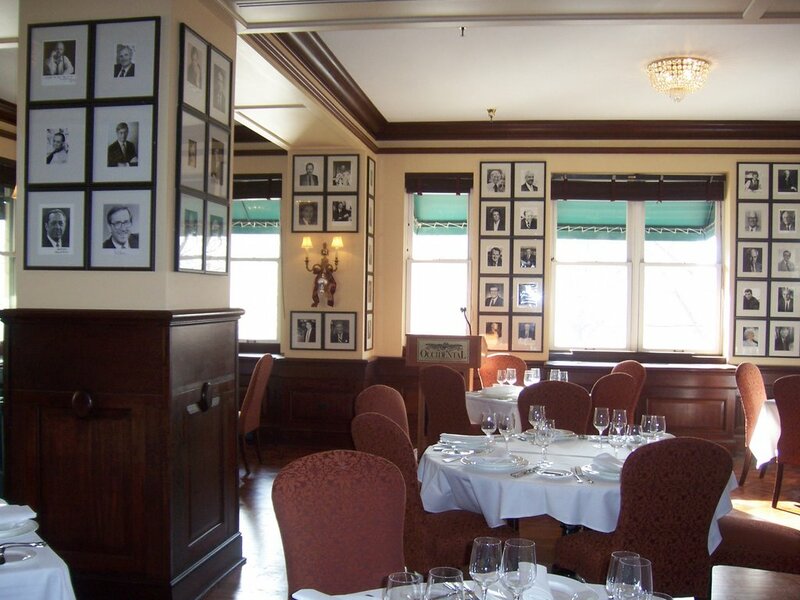 The restaurant is planning a yearlong celebration of its 100th birthday. Chef Rodney Scruggs has a new menu (and a shiny new kitchen), with dishes such as a winter "fowl" terrine, made from organic chicken, quail, duck, squab, pheasant and foie gras and served with currant jelly, and roasted moulard duck breast with an aged balsamic glaze, smoked black pepper spaetzle, braised radicchio and a blood orange reduction. 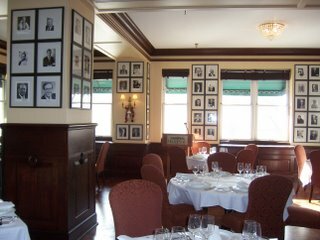 Also look for promotions like a weekly "Roll Back the Prices to 1906", which will offer a randomly selected table lunch on the house. Also on the radar: Axis Bar and Grill at 1340 U St. looks very close to opening. The owners of Sonoma and Mendocino Grille have a new tapas spot planned for the same neighborhood (stay tuned for more). Gallery Place Living points out a planned Thai restaurant at 915 E St. NW. and Dogfish Head announces it will open a new alehouse in Falls Church. I can't say I'll miss Red Sage all that much; I tend to only eat a couple of meals there a year. What I *will* miss terribly, though, is the Red Sage Market (around the corner from the main entrance). I've been getting lunches there for over 10 years now, since I finished grad school and started a Real Job at 14th and NY. I still get the same old thing, too -- a small ceasar, bag of chips, and fresh guacamole for an astoundingly cheap $4.35 after tax. If I'm really hungry, I might throw in the Best Bargain Cookie in the City -- their plate-sized cookies, at $1.50, are insanely cheap and insanely good. Dang, I'm really bummed now! You're right jburka! I hadn't even thought about the market. I also buy my lunch there and love that cookie! I'm bummed now too. Bethesda's Divino Lounge is opening a 2nd location in Cleveland Park (the old McDonalds.) Dancing and tapas in the hood! There also appears to be a Latin bar/restaurant moving into the old Subway just N of 14th and U. It's a pretty rough corner, not sure what the quality will be but at least they're developing that corner finally. Sad news but I heard a bank is moving into the Red Sage space. You know, I just snapped a pic of the liquor license application at that old Subway! Trying to find out if anyone knows who's behind it. 14th and U is a rough corner? Give me a break!